Insurer Cuts Doctor Pay, Will Others Follow? The move by insurer Highmark to reduce physician rates in health plans offered under the Affordable Care Act (ACA) to make up for massive losses has sparked anger, as well as worries that other insurers will follow suit. Highmark, a Blue Cross and Blue Shield affiliate that operates in Pennsylvania, West Virginia, and Delaware, said it lost $221 million on its health plans in ACA marketplaces, or exchanges, in 2014, and that it expects to lose another $500 million in 2015 because enrollees have required more care than anticipated. That has caused the insurer to pay more in claims than it collected in premiums. Last month, Highmark announced it would cut provider rates on average in Pennsylvania by 4.5%, effective April 1, to keep these plans viable, rather than shutting them down. Reimbursement rates for providers contracting with ACA plans typically are not generous to begin with, Gilberg told Medscape Medical News. "They have been closer to Medicare than commercial, and sometimes between Medicaid and Medicare." "I don't believe what ails the ACA exchanges is excess payment to doctors," said Anders Gilberg, senior vice president of government affairs for the Medical Group Management Association. However, Highmark has been paying physicians in its ACA networks "at full commercial rates," said company spokesperson Aaron Billger. Alexis Miller, Highmark's senior vice president for individual and small group business, is reported as saying that "doctor contracts are more flexible, and there's 'precedent' for such adjustments, while cutting hospital reimbursements would require hospital-by-hospital negotiations." 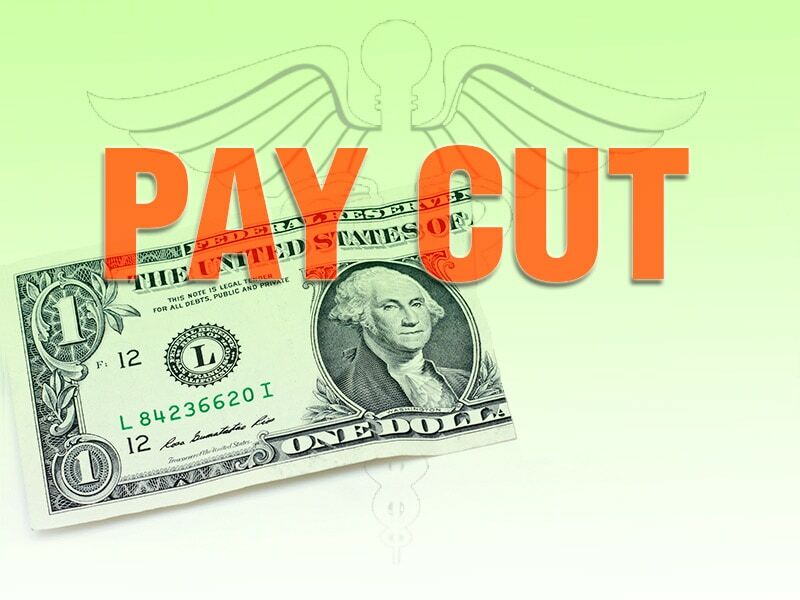 He noted that unlike physicians, hospitals are not paid according to a uniform fee schedule. "As a healthcare community, we're at the point where we need to work collectively to ensure the viability of the ACA marketplaces," Billger went on to say. He pointed out that ACA enrollees were once the kind of patients who came to physician offices unable to pay their bills. "We don't believe going back to uncompensated care is good for Pennsylvania or physicians," he said. Highmark is not the only major insurer to take a beating in the ACA exchanges. UnitedHealth Group reported a $720 million loss in this line of business in 2015. The giant insurer has warned that it may pull out of the exchanges in 2017 if profitability is not in sight. Other insurers such as Aetna and Anthem also lost money on the exchanges last year, but they claim to see signs of an upswing in 2016. For all these insurers, the red ink results from a risk pool of beneficiaries that is riskier than first anticipated. Total enrollment fell short of initial projections, and enrollees are more chronically ill than expected, driving up healthcare costs. Highmark said that the rate of congestive heart failure among its ACA members, for example, is 43% higher than that for members of its regular commercial plans. The rate of chemotherapy claims per ACA member is 49% higher. The financial pain of insurers might not be as acute if the ACA worked as originally designed. Highmark is a pacesetter in its field, according to a medical practice consultant who helps physicians negotiate contracts with insurers, noting that the insurer has a reputation for dealing very aggressively with physicians. If this is like everything else, others will follow suit.